Hampshire entertainer Silly Scott the Children’s Entertainer Portsmouth gives you a run down of all the local entertainment and events over the summer holidays 2018. Portsmouth, Southampton and throughout Hampshire has lots of fun family things to do and plenty of options for great days out with the kids. Whether you want to enjoy a day trip to the zoo or a short break in the New Forest, there is something for everyone. Portsmouth, Southampton and throughout Hampshire has an exciting line-up of summer events for families and children during the summer holidays. Kids will be able to discover a whole host of exciting activities, from meeting mini beasts and dinosaurs, to stepping back in time on historic ships to exploring lego animals, there is something for all ages to enjoy. Children will have the opportunity to take part in workshops with a West End professional and learn new songs and dance routines. Take centre stage this summer in a 2 week theatre-making course with Nuffield Southampton Theatres. Kids will learn about stage-craft, make new friends, and be part of a unique encounter with NST and ArtfulScribe as part of the SO:Write project. Join Tudor House to discover the horrible history of health and sickness in Tudor times. Head to SeaCity Museum during the summer holidays in Southampton, for some great activities for the kids! Each two-hour session will be led by a professional tutor, who has experience of working with children with special needs. Join a Ranger on this 3.5 mile guided walk and discover more about the New Forest and what makes it so special. Take a walk on the wild play side at Lepe Country Park this summer! Enjoy a walk around the park, with plenty of fun activities along the way. The Accredited British Canoeing Paddlepower Days introduce children to a variety of a paddlecraft and will help develop childrens paddling skills. Join in with drop-in crafts at Winchester Discovery Centre this summer, with different themes throughout the holidays. Kids can design their own temporary glitter tattoo to celebrate the opening of a brand new exhibition, Tattoos: British Tattoo Art Revealed. Try clay pottery, chalk carving, bread making, painting with natural pigments, flint wall building, worm charming and more! Kids will have the opportunity to learn new dance moves and skills, meet new friends and build confidence. Examine some of the specimens from the learning collection and use a range of tools to find out about the animals in front of you. Join Basing House for a fun, friendly workshop this summer, suitable for all the family! Use mosaic tiles, beads, buttons and coloured sand to make your own mini mosaics. Make creatures and wall-hangings from driftwood, pebbles, shells, beads and wire. Follow a recycled material sculpture trail around the zoo and meet the crazy Botantist ‘Dr Chris Anthemum’ for weekday shows. Head to Hillier Gardens for a fantastic summer-themed kids’ meal in a bucket – and they even get to take the bucket home! The Sleepover Camp is a great way to link two Active Adventure, NICAS, or PaddlePower Days together and spend the night camping with friends. Fair Play Performing Arts aim to deliver a different style of choreography each day to provide variety throughout the week. Enjoy textile activities at Hillier Gardens with the Hampshire Guild of Weavers, Spinners and Dyers. With live music and characters you won’t forget, Alice’s Adventure’s in Wonderland will engage and delight audiences of all ages. Pick up a trail and discover all the weird and wonderful animals that can be found around Winchester Cathedral. Hold a barn owl, and meet millipedes, rats, giant snails, lizards, snakes, and many other fascinating creatures. Join Tudor House to learn the tricks of the trade from a professional Children’s Entertainer, Marcus Bailey. Woodmill offers Level 1 and 2 of the Youth Climbing Course (NICAS) scheme, which is a progressive course aimed at developing climbing skills. Moon On A Stick combine enchanting puppetry and absorbing storytelling with all the traditional pantomime elements. Knead, roll, top, bake, eat! Make your own pizza in the Windmill’s outdoor bread ovens. Families can enjoy a fun packed family day out in Portsmouth, Children’s Entertainer Portsmouth with loads of entertainment throughout the day. Recreate the world of Victorian naval tattoos in this art and craft session on board HMS Warrior. Enjoy den building, campfire cooking and more, all in the lovely setting of Holly Hill Woodland Park. Have a go at den-building, mud pie-making and creating some really wild art, then round off the day with toasted marshmallows! This is a fun, free information session, where you can learn all the answers to your questions about the four-legged icons of the New Forest. Join the Lepe rangers for a walk along the beach this summer. Discover the mystery sea creature and have a go at creating your own! Meet the beautiful birds from Liberty’s Owl, Raptor and Reptile Centre on the High Hill Field. Join the museum for a tour and a hands-on history session, learning all about the story of Titanic and its impact on the people of Southampton. Wickham Festival is a 4-day music and arts festival held every August in a beautiful rural location. Children’s Entertainer Club, Make some noise with traditional instruments and percussion at Port Solent’s fantastic Samba Drumming Workshops! To celebrate the opening of the new exhibition, kids can create a tattooed hand based on designs inspired by those who served in the Royal Navy. Activity Days are the fun of Own a Pony Days but catering for less experienced children, including an hour’s riding, quizzes and games. Make Honey Wish jars and teddy boxes with Bella Crafts. Vicky Park Music Festival is designed for the whole family, with music, side shows and attractions. Enjoy a fun day of butterfly themed activities run in conjunction with Butterfly Conservation. Kids aged 7-13 can design and create their very own football emblem out of plaster. On Fridays during the summer holidays, Portsmouth City Council’s playgrounds hold a fun mini-festival. Mr Bloom from CBeebies is bringing his one-man stage show to Marwell Zoo on selected dates this summer! Experience a ride on a real steam engine, shake hands with The Fat Controller and take part in Thomas themed activities. The two teams of Roman soldiers will be fighting to fend off their foe, showcasing their skills with swords, shields, archery and spear throwing. The Beaulieu Supercar Weekend is a must-see family spectacular! Head to Mayfield Park for a fun filled time with stalls, games and refreshments, at the YMCA Party in the Park. Join the National Fostering Agency’s Pebble Painting and Fostering Information drop-in at Itchen Valley Country Park. The Family Active Adventure Day is a great way for parents child to share adventurous experiences together. Meet Captain Barnacles & Kwazii from the Octonauts at the Tower! The characters will be appearing at intervals throughout the day. Enjoy a stroll around Twyford Waterworks with restored machinery in operation and volunteers on hand to explain how it all used to work. Blake Entertainment is hosting a fantastic family fun day to raise money for Friends of PICU. Children’s Entertainer Southampton. Enjoy entertainment, food village, funfair, live music and more at the 19th Lymington Rotary Club Summer Spectacular. With a wide variety of miniature animals which you can groom, stroke, pet and feed, this will be a great day for you and your family. Sing along to all the greatest hits, performed up-close and personal, by an all-star cast from London’s West End. Enjoy five action-packed days of musical theatre skills for children aged 12-16 years in Winchester. From a secret camp deep in the woods, the Wild Learning club venture out to try den building, fire making, forest games and more. Have lots of fun in this lively workshop, and show family and friends your performance at the end of the day. Kids aged 7-13 can enjoy a day of messy arty activities with Jurassic outcomes! Kids will love creating magical potions and slime, making wizard or fairy wands, then decorating cupcakes! Join the pony themed Teddy Bears Picnic! Includes half an hour pony ride and lunch. Join Royal Victoria Country Park this summer holiday for fun pirate themed activities, including a treasure hunt. Lepe Country Park are hosting two fun-packed days of marine themed activities during the summer holidays. Join Tudor House and travel back to the time of Viking raiders by creating your very own Viking longboat from clay. Learn a fun dance routine to the latest chart hits with this lively professional dance troupe at Port Solent. This summer, join Captain Hardy to discover more about life on board for the officers and men who served on HMS Victory. Inspired by the Gizmobots exhibition, there will be a range of fun craft activities to get involved in each Tuesday in August. As part of a Summer of Science & Sorcery, have a go at firelighting, metalworking, pottery firing, candlemaking and more. Kids can enjoy dressing up through the ages, taking a selfie, then making a picture frame to take home. You will be shown the basics of archaeology and get the opportunity to dig for authentic historical artefacts from Roman and Tudor times. Make lizard blowers and then use them to help tutor Amanda tell the story of Clancy the Clumsy Lizard. The paddle sport programme provides young developing paddlers with experiences to help them progress their skills in new dynamic environments! Pick up a free trail from the entrance desk and discover the many colourful coats of arms around Winchester Cathedral. Kids aged 4-11 can create football themed money boxes to store their match day pennies! Boomtown offers a fully immersive, theatrically-led experience, with hundreds of actors bringing nine uniquely themed districts to life. This is a fun, free information session, where you can learn all the answers to your questions about the four-legged icons of the New Forest! Families can enjoy a trip around High Hill Field in a carriage pulled by two beautiful shire horses. Children aged 18 months – 5 years can enjoy an exciting children’s story, explore the museum and then get arty. Get creative making Hawaii beach necklaces or hats and create your own masterpiece with shells. See the UK and Europe’s number one Mountain Bike, Trials and BMX demonstration team in action at Port Solent. Join Hillier Gardens this summer to prepare your own tasty fruit puddings which you’ll cook over a campfire in the woods. Children will learn about nature and wildlife, as well as creating some beautiful and unique crafts to take home. Join the professional tour guides as they bring the history of Andover to life in this immersive tour. Dress in your finest Fairy and Elf costumes and prepare to be sprinkled with fairy dust! Once again the skies above Southsea Common will be filled with a myriad of kites of all shapes and sizes! The YMCA Multi Activity Camp-out is an opportunity to experience Fairthorne and some of their amazing activities! This year’s theme will be superheroes, with mascot meet & greets, bouncy castle, games, face painting, craft corner and more. Staff at Hampshire Hospitals NHS Foundation Trust will be performing in the very first HHFT’s Got Talent, celebrating the NHS’ 70th birthday. The Family Active Adventure Day is a great way for parents and children to share adventurous experiences together. Children’s author Nick Newberry puts on a special story writing class for children in Winchester. Silent Summer Screenings are back at The Views again this summer with live music and a fun-filled movie for you to enjoy. Saxon re-enactors Weorod return to Alton for the annual Anglo-Saxon Day, with stalls, demonstrations and explanations of all things Anglo-Saxon. Calshot Activities Centre offers a great introduction to a wide range of adventurous activities during the summer holidays. Calshot Activities Centre offers an exciting and challenging week for 13-16 year olds, with a wide range of adventurous activities! The popular Southampton Healthy Living Festival returns for 2018, with awesome activities, stylish stallholders and a fabulous food village. Wander around Hinton Ampner’s beautiful gardens and hear the sound of smooth jazz from The Harry Strutters Hot Three. Take along your teddies and maybe a picnic too, and enjoy it in the peaceful woodland gardens before the afternoon fun starts! Be a detective and analyse your artefacts, find out what they are and what they were used for. Calshot Activities Centre offers a taste of what track cycling is all about, for ages 8-10 years old. Discover a vault used as a weapons workshop and why the most important date in history is probably one you’ve never heard of. Kids aged 5-11 can enjoy a fun junk-modelling workshop and build their own supersized trophies. A chance to join the Top Banana Circus and perfect your circus skills at Port Solent. Have a go at juggling, diabolo. plate spinning and more! Kids can design their very own temporary glitter tattoo to celebrate the opening of a brand new exhibition, Tattoos: British Tattoo Art Revealed. This summer, children can paint and decorate a fairy or elf door with Mrs Blossom Makes, at Titchfield Haven. As part of a Summer of Science & Sorcery, learn about Roman cleaning chores and waterproofing objects using clay, wax and pitch. Take part in a free trail around the Cathedral to find out about the brilliant Bishops of Winchester. Calshot Activities Centre offers a fun and action packed day for 7-11 year olds, with a range of activities, including climbing, archery and skiing. Calshot Activities Centre offers a fun and action packed day for 11-16 year olds, with a range of activities, including track cycling and snowboarding. Head to SeaCity Museum during the summer holidays in Southampton, for some great craft activities for the kids. Become a toy for the day and march like a soldier or twirl like a ballerina in this exciting movement workshop for little ones. Experience two days of intensive combat training with Stars Wars actor Richard Stride and discover the secrets behind some of the iconic scenes. Be wowed by amazing birds of prey and find out about the fantastic world of falconry, at Port Solent. To celebrate the opening of a new exhibition, kids can create a tattooed hand based on designs inspired by those who served in the Royal Navy. Have a go at den-building, mud pie-making and creating some really wild art, then round off the day with toasted marshmallows around the camp fire. Calshot Activities Centre offers a fun and action packed half day for 4-7 year olds, with a range of activities, including bouldering and ringo. Calshot Activities Centre offers a fun and action packed day for 7-11 year olds, with a range of activities, including climbing and skiing. Calshot Activities Centre offers a fun and action packed day for 11-16 year olds, with a range of activities, including skiing and archery. Join Lepe Country Park during the summer holidays and get to experience nature hands on, with fun activities. Join Tudor House to enjoy photographing wildlife, printing your favourite picture and creating a fantastic piece of artwork inspired by it. The Accredited British Canoeing Paddlepower Days introduce children to a variety of a paddlecraft and will help develop children’s paddling skills. Step back into the prehistoric age to discover Jurassic wonders, make a dinosaur bat and ball and your very own fossil! The Forest Craft Club at Alice Holt combines guided outdoor exploration and games around the forest with indoor seasonal craft sessions. Kids aged 7-13 can create their own Saints inspired T-shirts and fan memorabilia boxes. Join Fairthorne Manor for exciting activities in the Treetots area and on the Fairthorne Manor campsite field. Kids aged 5-7 can dress up and become a Disney dance star at The Lights in Andover. The Cheese & Chilli Festival is a family show offering something for everyone, with traders selling cheese and chilli associated products. A display of arena acts, dog show, sheep, re-enactments and much more will all be on offer as well as local food and drink. There will be traditional games like a coconut shy and hook a duck, plus face painting, tombola, craft stalls, cake stand, BBQ and much more. Captain Barnacles and Kwazii from the Octonauts will be appearing at intervals throughout the day. Calshot Activities Centre offers a great introduction to climbing, for children aged 4-7 years old. Take a picnic along to enjoy as the sun sets over the atmospheric surroundings of Hinton Ampner’s parkland. Be inspired by the classic tale that everyone loves, ‘Where the Wild Things Are’ then create your own ‘Wild Thing’ out of clay! Enjoy a day in the Allen Gallery garden with local History and Archaeology societies. You can even take part in a dig and see what you can find! Join St Francis Animal Welfare for their annual Summer Fun Day and Dog Show, with various classes and special prizes, plus kids’ rides and bouncy castle. Get up close and personal with these magnificent birds of prey which will include; an owl, Harris hawk, falcon, eagle, vulture and more. Waterlooville Summer Fete returns to Jubilee Park, with children’s activities, mobile farm, circus workshops, fun bus, dog show and more! Southampton & District Heritage Transport Trust will be on site with a collection of buses and Hampshire Narrow Gauge Railway will be running trains. Calshot Activities Centre offers a fun and action packed half day for 4-7 year olds, with a range of adventurous activities! Calshot Activities Centre offers a fun and action packed day for 7-11 year olds, with a range of activities, including skiing and kayaking. Calshot Activities Centre offers a fun and action packed day for 11-16 year olds, with a range of activities, including climbing and skiing. Join the West End Centre in Aldershot for craft activities that have been specially designed for families with children that have special needs. Join Royal Victoria Country Park this summer holiday for fun survival activities, including shelter building and fire lighting. Calshot Activities Centre offers a fun and action packed half day for 4-7 year olds, with a range of activities, including bouldering. Calshot Activities Centre offers a fun and action packed day for 7-11 year olds, with a range of activities, including archery and sailing. Calshot Activities Centre offers a fun and action packed day for 11-16 year olds, with a range of activities, including sailing and snowboarding. Join Tudor House to to get creative and take inspiration from the beach, making beautiful shell covered trinket boxes. Join Alex the Lion, Marty the Zebra, Melman the Giraffe, Gloria the Hippo and the plotting penguins as they bound onto the stage in Portsmouth! Join Captain Crossbones the potty pirate who will be entertaining crowds at Port Solent, with magic and interactive storytelling shows. As part of a Summer of Science & Sorcery, have a go at textiles and nettle fibres, cooking, making wooden pendants, thatching and more. Solve a dinosaur dilemma, measure up to different dinosaurs and lots more hands-on activities for mini paleontologists. Kids can enjoy a day helping out at the farm, feeding and grooming the animals. Take a stroll around Lepe Country Park in the evening to learn about British bats and discover how to track and identify them using a bat detector. This is My Theatre invite you to join them for a trip into this well-loved tale, based upon the original novel written by Lewis Carroll. Children aged 8-12 years can join an experienced teacher and create a dance in a day! Calshot Activities Centre offers a fun and action packed day for 11-16 year olds, with a range of activities, including cycling and skiing. Kids can create their own aquarium filled full of crazy sea creatures and marvellous marine life from the depths of their imagination. Big Owls Club is for children aged 4 – 6 years and their parents to enjoy a morning of fun and adventure in the New Forest. Kids aged 12-16 can enjoy a full day workshop exploring dance and digital technologies at The Point. Calshot Activities Centre offers a fun and action packed half day for 4-7 year olds, with a range of activities, including orienteering and ringo. Join Tudor House to build a junk-model fortress fit for battle and visit the remains of the town’s castle on a special mini-tour. Kids can let their creativity loose and bring colour, character and personality to their very own ‘Mischief Maker’ clay model! Make honey wish jars and teddy boxes and enjoy teddy games and yummy party food at BellaCrafts. Blow your children’s minds as the amazing bubble entertainer creates some fantastic creations at Port Solent’s bubble show! This workshop is suitable for ages 1-3 years and brilliant for little ones who love to wiggle and jiggle to their favourite tunes! Europe’s greatest equestrian theatre show is coming to Broadlands Estate with a spectacular new production for 2018. Kids aged 4-11 can have fun creating their own Saxon jewellery from recycled materials. The YMCA Family Festival is an opportunity for families to come together, whilst enjoying a packed activity programme. Victorious is located on the picturesque Southsea Seafront and The Kids Stage offers the very best in children’s entertainment! Kids can learn the basic slime skills and how to make coloured, scented and even edible slime. The ducks will be released into the River Itchen and you can follow their exciting journey from the Mill’s island garden all the way to Wharf Mill. Celebrate the end of the summer with an open air picnic concert and spectacular firework finale. Wizards, unicorns, fairies, dinosaurs and muggles are all welcome to join in the fun at Table Manners’ Hogwarts themed garden party. Hometown Festivals will be celebrating another Great British summer this August Bank Holiday weekend in Petersfield Town centre. There will be an array of food stalls and demonstrations and a major offering of theatre and kids’ attractions and entertainment. The Lost Cinema will be visiting Winchester over the August Bank holiday weekend to screen an open air movie on the front lawn of St Swithuns School. Your standard travel ticket will allow you unlimited travel, plus take part in hands-on and creative activities in the Viewing Gallery. Enjoy a fierce and challenging three-day workshop and develop the ancient skills learnt in Warrior Camp I.
Calshot Activities Centre offers a fun and action packed day for 7-11 year olds, with a range of activities, including archery and kayaking. Calshot Activities Centre offers a fun and action packed day for 11-16 year olds, with a range of activities, including climbing and archery. Get your little ones hooked on history early in this fun, relaxed and informal craft and history session. Head to SeaCity Museum during the summer holidays in Southampton, for some great craft activities for the kids! Kev writes and draws for The Beano, Doctor Who and Marvel comics and now he will teach you how easy it is! Pick up a trail from the entrance desk and discover the many colourful coats of arms around Winchester Cathedral. Calshot Activities Centre offers a fun and action packed day for 7-11 year olds, with a range of activities, including archery and skiing. Calshot Activities Centre offers a fun and action packed day for 11-16 year olds, with a range of activities, including track cycling and archery. Join Tudor House to spend the day designing and crafting beautiful mirrors with mosaic surrounds. Children’s author Nick Newberry is putting on a special story writing class to accompany this year’s Summer Reading Challenge theme ‘Mischief Makers’. Join Bursledon Windmill for a special Windmill Wednesday and make your own pizza in the outdoor bread ovens. Pack a picnic and soar away to Neverland with this magical musical from Immersion Theatre. The fabulous Creature Teachers are back at the Farm with their menagerie of amazing animals. Join Lepe Country Park during the summer holidays to look for tracks and signs of animals, investigate wild food and build a shelter. Calshot Activities Centre offers a fun and action packed day for 7-11 year olds, with a range of activities, including orienteering and sailing. Calshot Activities Centre offers a fun and action packed day for 11-16 year olds, with a range of activities, including sailing and climbing. Kids aged 5-11 can create their own mummified orange and clay canopic jar inspired by Ancient Egypt. 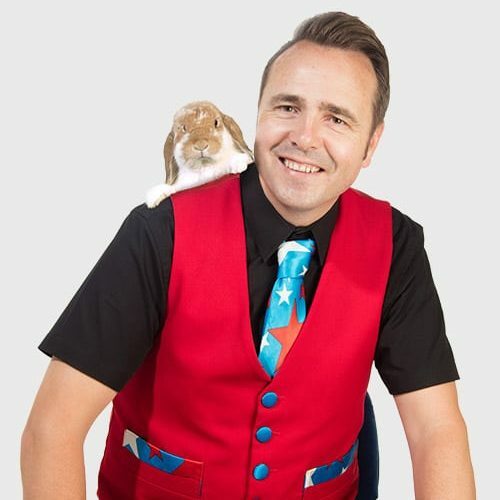 Join the fun and laughter with Children’s Entertainer Portsmouth Silly Scott’s fantastic magic shows, running from 11am, 12.30pm and 2pm. You can also get crafty with the Creation Station from 11am – 4pm. Tall Stories will bring Julia Donaldson and Axel Scheffler’s award-winning book to life in this magical, musical adaptation of The Gruffalo’s Child. Hollycombe’s annual model weekend will attract all kinds of models and modellers, with railway layouts, fairground models and more! Join The People’s Theatre Company for a special 45th anniversary production of the classic tale at Forest Arts Centre. Enjoy a stroll around Twyford Waterworks with everything fully open and restored machinery in operation. This 1 mile self-guided trail will take you through the woods, with activities and challenges for all the family. Enjoy plenty of singing, dancing and exciting games with characters: Bruce the Lifeguard, Shelly the Turtle and Manta the Ray. Explore the grounds with a fun family trail accompanying Mottisfont’s Judith Kerr exhibition this summer. Join Hillier Gardens this summer for an interactive Flower Fairies trail inspired by Cicely Mary Barker’s classic illustrations. Don’t miss this great event for the kids at Winchester Science Centre. The Centre will be sparking curiosity and imagination in all the family! Head to the New Forest where living history characters will bring Beaulieu to life with the sights and sounds of the past! With activities to complete along the way, all the family can have fun on this summer trail and work together to solve the clues! Head to Lepe Country Park during the summer holidays to follow the summer trail and complete the answers to claim a prize. Take part in a trail around the farm, hunt for buried treasure, visit the dressing up area and hunt for fairy houses. Explore the building in search of letters to solve the mystery location of Oscar the Octopus and the Tower’s mischievous explorer, Vugo. The kids can enjoy an adventurous day out at Fort Nelson this summer with the challenging Junior Assault Course! Explore Titchfield Haven Nature Reserve during the summer holidays and see how many animals you can find along the way. Dig into shark-themed workshops and exciting learning opportunities about the ocean’s most successful predators. Young explorers will love this quest through ancient grounds in search of little boxes containing jigsaw pieces to assemble. Look out for characters from the story, complete four rubbings and take your picture with the life-sized Highway Rat ‘Wanted’ poster! Learn about inventions and innovations developed in Hampshire, such as the Spitfire and Taskers engines, with a fun trail and hands-on activities. Head to Finkley Down Farm during the summer holidays for loads of summer fun, with water wars, sheep racing, pony rides and entertainers including Hampshire’s favourite Children’s Entertainer Silly Scott. Pick up a scavenger hunt at reception to see what you can discover and do around the grounds of Gilbert White’s House this summer. I got this web page from my buddy who informed me regarding this web page and at the moment this time I am browsing this website and reading very informative content here.